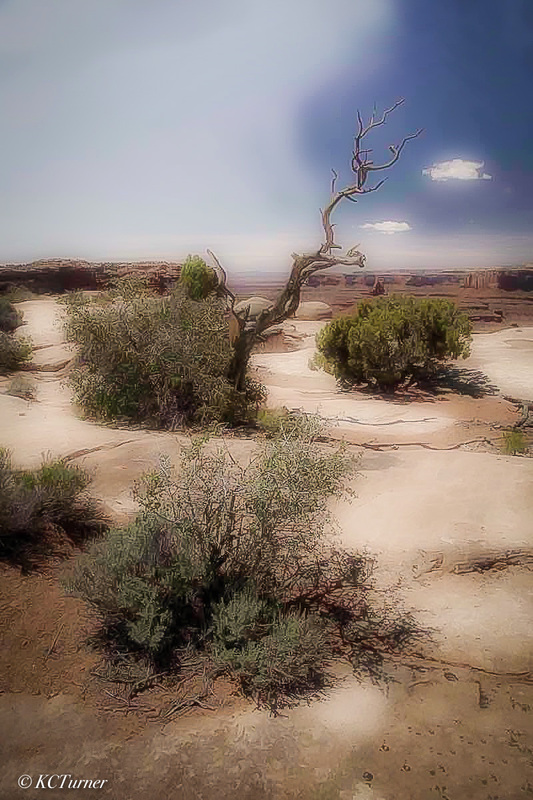 Proud and enduring "Lone Tree Sentinel" withstands all seasons overlooking the vast canyon lands of the expansive Moab desert. Capturing treescapes photographically, especially when surrounded by such beautiful landscape arenas complete with cliffs, deserts and never ending perspectives is always rewarding. Photo © copyright by K.C. Turner.